NORTH PLANK RD. 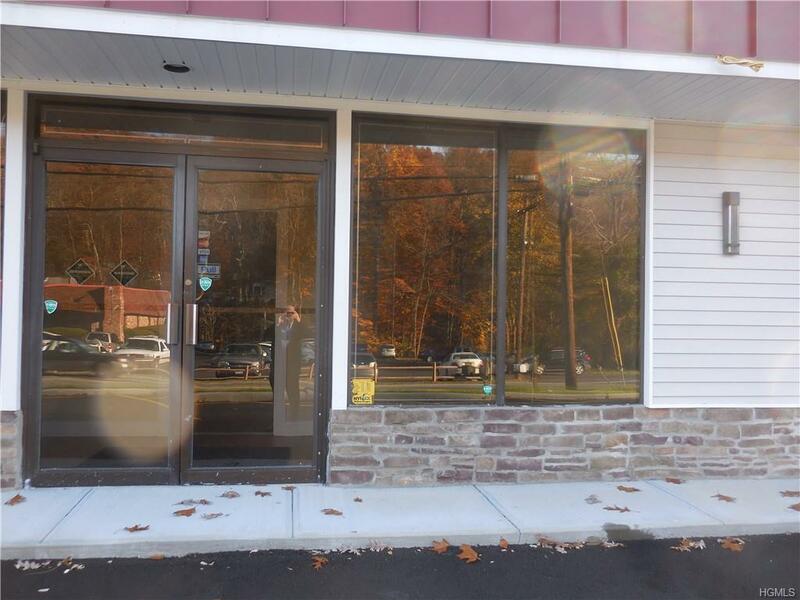 PLAZA...Move your business to newly renovated plaza w/ exterior uplift. STOREFRONT UNIT 1800' sq. ft. for $2200 a month includes: rent, water/sewer and common maintenance charges. Convenient location for your business w/ c/air, large bathroom and ready to move in any time. 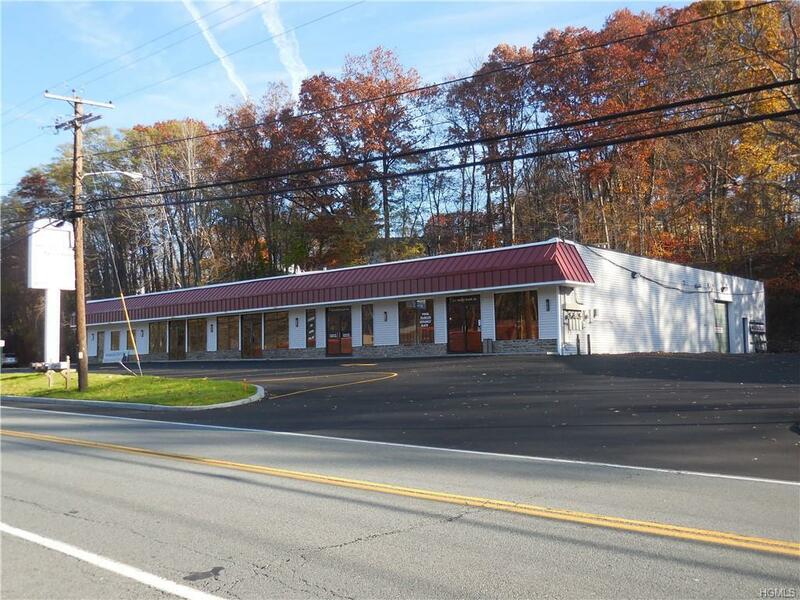 Easily accessible and close to I-84, 9W, Newburgh-Beacon Bridge and in main shopping locale and commercial office area of town. On Route 32 (N Plank Rd.) in Town of Newburgh. One floor, no steps, space ready to move in this only vacant space in the North Plank Road Plaza. 6 units all together in plaza of mixed users office and retail. This space is in middle of plaza w/ access from front and back of building can be an office or variety of retail uses, yoga studio, insurance office, hair salon or massage therapist, etc. Carpet will be cleaned or replaced by landlord. 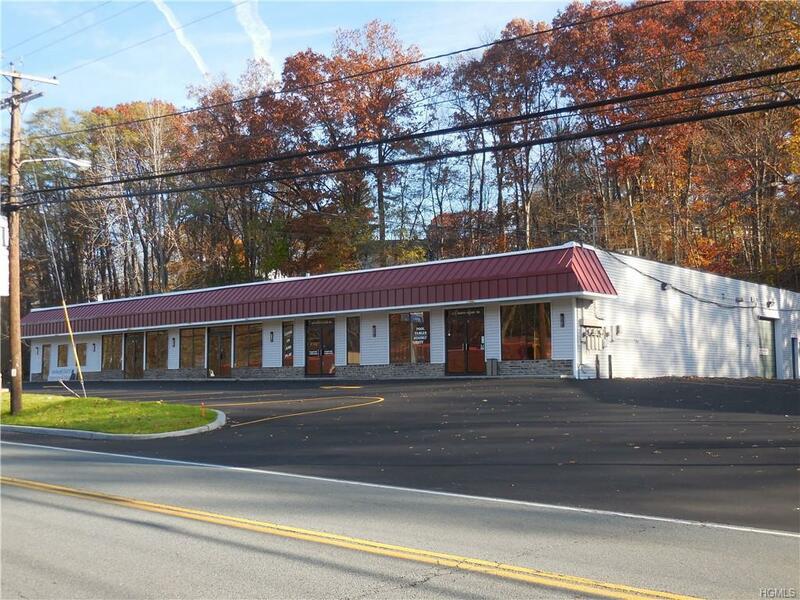 Large newly paved parking area for your business. 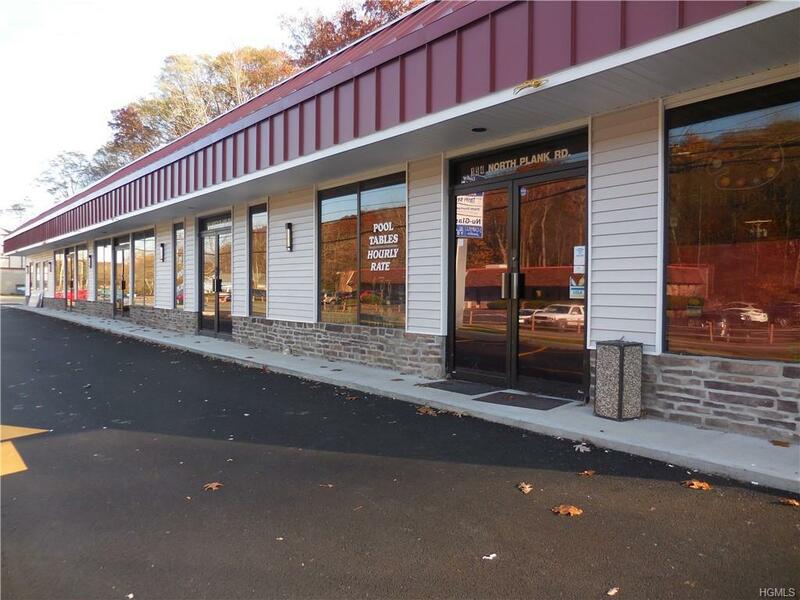 Excellent affordable location w/ high traffic and direct visibility for your business.